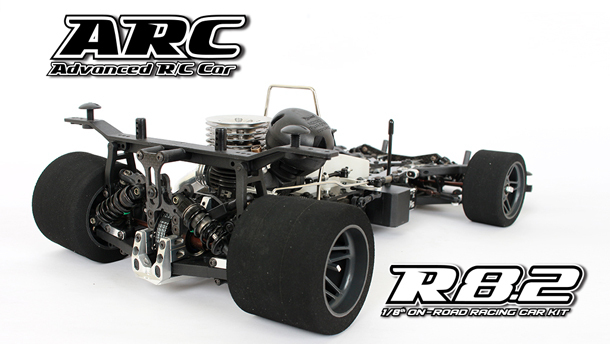 Home › Blog › ARC R8.2 1/8th On-Road Racing Car now in stock @ Quantum! 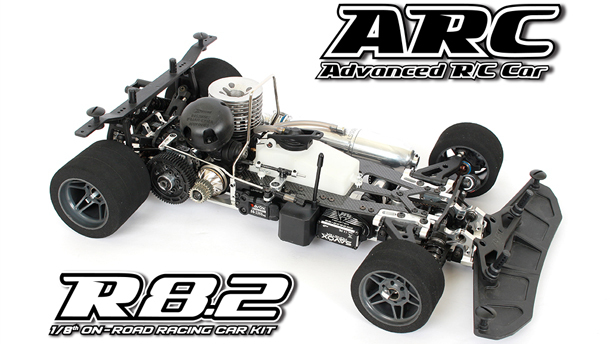 The Latest ARC R8.2 1/8th On-Road Racing Car kit is ready to for drivers who looking for the highest level competition machine ,The R8.2 kit is revolution from the successful R8.1 Chassis platform with following new feature. 1.All new 2-speed adaptor with 4g lighter, It will help to reduce weight and increase efficiency of transmission system. 2.All new rear suspension block move rear low arm each side 3.5mm into center, it crate more rear side traction and stability. 3.All new rear long arm , we build new longer arm to fit the new rear block , the new rear arm is 5mm longer then old rear low arm , the Hard , standard and soft compound all available to fine tune in all track condition. 4.All new chassis with CHASSIS WEIGHT ADJUSTMENT SYSTEM , It will allowed to adjust front weight from 0mm into 30mm , also able to choose close or open the front low side of chassis. 5.All new Upper deck with lay down throttle servo, the new lay down throttle servo not only low down the center gravity of car but also make the chassis flex become evenly both side ,It help to make chassis weight distribute into 50/50 for right and left side. 6. The R8.2E 4S shorty lipo conversion kit also available to convert the R8.2 into R8.2E , The conversion kit using minimize parts to convert the R8.2 into R8.2E ,user can enjoy both nitro and electric power on same chassis.